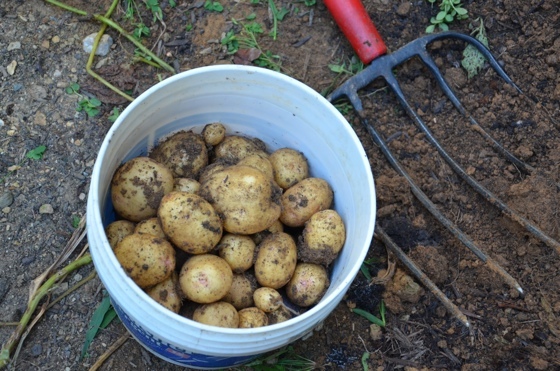 I have a theory that digging up potatoes is similar to finding gold while panning. Well, you might only think that if you saw me digging up potatoes. To say I get excited about finding them is a great understatement! 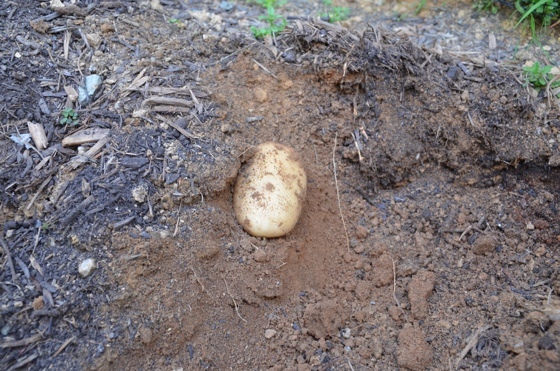 I was worried about our potato harvest this year and had pretty much written them off. We got them planted too late, and then we didn’t have enough dirt to mound on top of them. They got pretty tall and leggy, and a storm came through and broke many of the plants. We finally got more dirt to put on top, but by that point it seamed like a lost cause. About three or four weeks ago all of the potato plants just started dying. 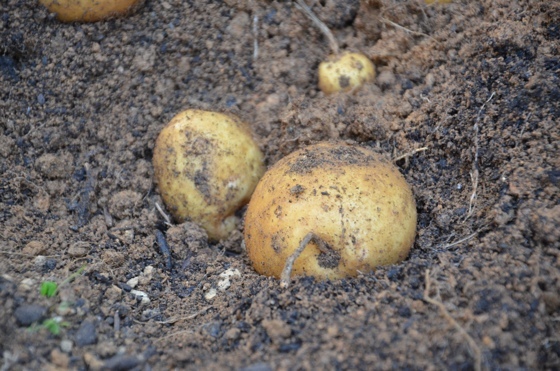 Now, I know what a potato looks like when it is dying back and ready to be harvested, and unfortunately that is not what these looked like. They looked sickly, and the plants never even flowered! See the dead limbs coming out of the ground? Those used to be our potato plants! 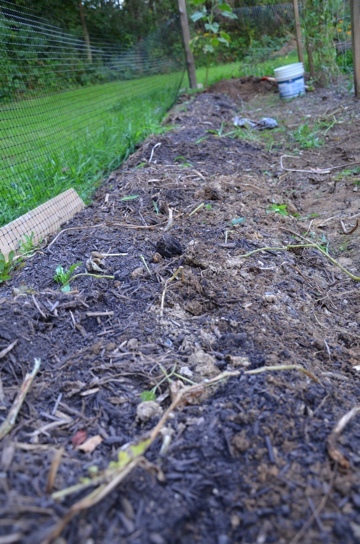 I started digging up the row so that i could put in fall carrots, and you can only imagine my surprise and excitement as I found edible gold! I feel so blessed that we got potatoes. It is amazing to me how resilient plants can be. Ironically, it seems that the plants I spend the least time often produce great fruit, while the plants that I baby often produce less! 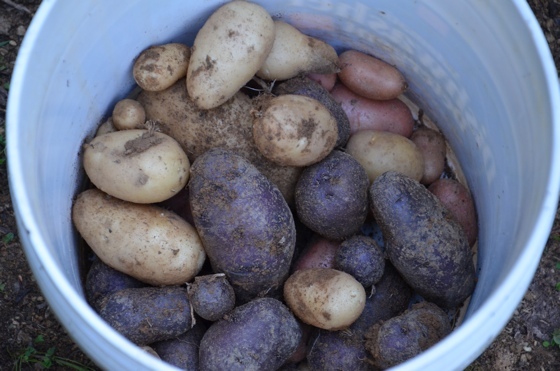 This year we grew French Fingerling and Yukon Gold potatoes that I ordered from Seed Savers. The purple ones were accidentally left in the ground last year.